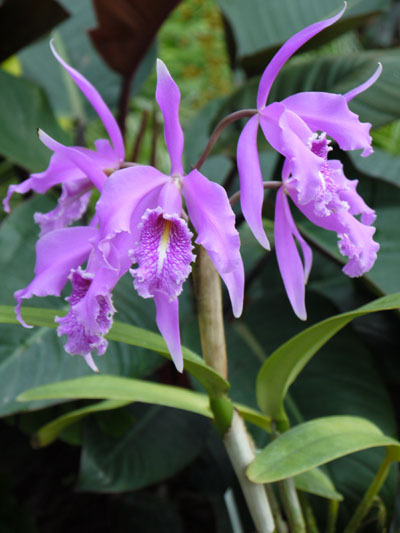 Late summer is a great time to see Cattleya maxima at the Fuqua Orchid Center. 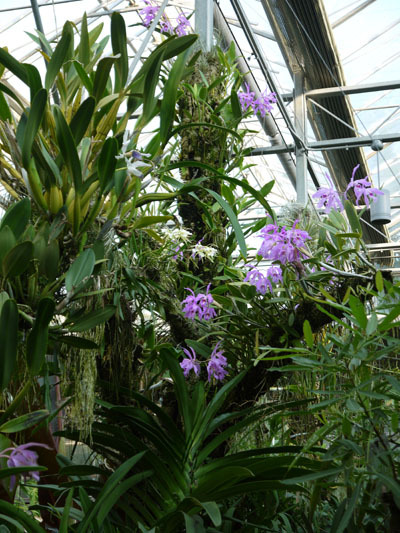 Dozens of plants spill from the branches of epiphyte trees and pose in pots around the reflection pools, just waiting to have their pictures taken. They are glorious. Cattleya maxima is native to Venezuela, Colombia, Ecuador and Peru. It flowers under long day conditions, so in the southern hemisphere it flowers in December--hence the common name Flor de Navidad, the Christmas Flower.